MYA 3Y series of microbalances is designed to meet the highest requirements for determination of mass. 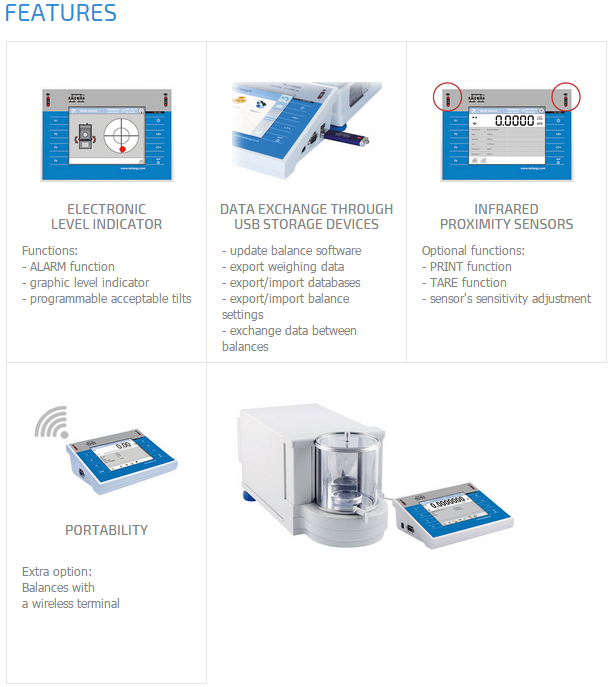 Measurement reliability and accuracy are maintained by system of automatic internal adjustment /calibration.Microbalances comprise two major components (an electronic module and a precise mechanical measuring system are enclosed separately). The design eliminates the influence of heat sourcing from instrument's electronics on its mechanical components and additionally protects it from shocks and vibrations caused by users operating the instrument. All the elements of a microbalance are made of glass and steel which eliminates the influence of electrostatics on weighing process.